One of the cities that the summer period affects majorly is Lower Valley. A good working air conditioning system installed and serviced regularly by a professional and skilled technician will give comfortable homely or office climate even in the hot environment. All Week service company provides these quality air conditioning services. Our major services are installation, repairs and replacement/maintenance services for residential homes, apartment flats, garages and others. Visiting and inspection/ accessing your ac systems are free with advice on what to do. Our HVACs technicians will take care of that at friendly rates. Our services as being rated 5stars due to the efficiency and effectiveness of our technical team offering quality services over the years has built our reputation to numerous customers. We also do installation, repairs and maintenance of ac units for commercial facilities. We serve all Lower Valley and North NJ facilities and with emergency services available. Constant and regular use of ac systems could cause breakdown or malfunctioning if not maintained. 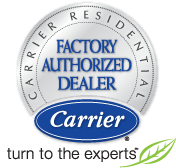 All through summer, we repair and service all types and brands of ac systems. We inspect, assess and offer solutions as the case may be for new installations, repairs and maintenance. Contact us now.